Join us for a tasting of rums brought to you in your office or at a private venue. Rum is an extremely versatile spirit, especially for making cocktails and as a long drink. From cocktail-friendly white rum through mellow golden examples to molasses-rich bottlings, no other drink spans such a spectrum of colours and flavours. As well as tasting the rums we'll include a fun competition in teams, keeping score to announce the winning team at the end of the tasting. We can also provide a Rum Bar at networking events with tasting stations for colleagues and clients to circulate around - the price will vary according to numbers and staffing requirements so do contact us for a quote. Our Rums of the World Tasting will take you on a tour of the history and styles of rum. You'll sample 5 styles of rum, including young and aged rums, white, dark and spiced. We’ll make some of the rums into longer drinks and create two classic rum cocktails. What's the story on aged rums for sipping? Our Spirits Tasting has something for everyone in your group, with a combination of rum, whisky & gin tastings and cocktail-making. 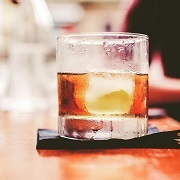 We bring along 2 rums, 2 whiskies and 2 gins for you to sample, with mixers and cocktail ingredients to make each into a cocktail or long drink. To find out about availability and booking contact us on 020 8288 0314 or email us.